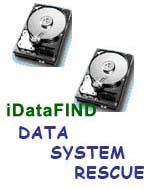 ITPro provides ONE STOP hardware software rescue solution. If you and your vendors cannot fix the data storage problems, you are highly recommended to take our advantage to resolve it. A desktop HDD was malfunctioning with click of death. Further damage to HDD was made via incorrect opening procedures to the HDD by user and caused totally inaccessible and misalignment. With our clean room facility and professional tools, hardware failure was carefully fixed. Thousands of honey moon photo and video were recovered successfully. Dedicated ERP server using MSSQL2005, configured with high redundancy Raid 1+10 arrays. Corruption were found within MSSQL system & ERP user database (not hardware problem) in which all these databases were unattachable causing SQL & ERP cannot start up successfully. Using our ITPro proprietary boot and rescue fail-safe utilities & techniques, step by step to rescue the SQL system. Then extracted all users' DATA as well as ERP's SPs & related items. Rebuild & restore the SQL server & ERP in proper ways with all existing users' DATA. The whole system was securely verified and the business were back to normal operation afterwards. Unique Web and Mail server with Red Hat Linux Enterprise platform, configured with high performance Raid 5 array. Two disk members were found corrupted at the same time & caused the system logical drive damaged and cannot boot into system & start the mailserver services. Using our ITPro proprietary boot and rescue fail-safe utilities, step by step to recovery disk member and then rescue & restore the whole linux OS as well as the Mail server applications with all the DATA. The whole system and the business were back to normal operation afterwards. Web and File server located at data centre running raid 5 suddenly lost all system file table, corrupted boot record lead to complete operation shut down. On site rescue was arranged in this case and using our proprietary boot and rescue utilities, first of all recover and store all important data files aside. Then restore server main operating system OS and all file and folder show up again, organizing and restoring the whole system back to normal operation afterwards. Group company sub server running raid 5 with 4x HDDs and 3 partitions, one of the HDDs burnout and the other one crash down almost at the same time, that caused the raid and server system shut down completely. Upon completion initial evaluation, the crash hdds was found suffering severed damage and the burned hdd was repaired with stocked parts and returned to operation. Then rebuild alternative raid system to recover the lost data files. Desktop 250G HDD accidentally drop leading drive malfunctioning. Only several specific files needed to be recovered. Using our own utilities to offline rescue and say cost effective charge at USD100.00. Broken MP3 portable storage cannot be recovered important data using existing software utilities. Hardware repair restore its operation and then rescue the important data successfully. Notebook 20G HDD crashed lead the computer improper operation. Opening HDD's can and head assembly transplant inside the drive was done in clean room facility and data files just can be rescued. Hdd system with SQL database was found crashed which also led to corrupted database structure. Several steps was employed to recover the master files and second level reconstruction of the SQL database successfully rebuilt 95% of the whole. Desktop HDD suffer physical damage with repeated tic-tac sound, and using our proprietary recovery utilities to rapidly determine the default and rescue some important data files. There was no need to open the HDD to have expensive open case repair. A hard drive was forensically destroyed, only bit by bit micro imaging can reconstruct the whole image. Client realised and claimed not worthy to do so. A memorable file was overwritten by accidental mis-operation. Upon in deep file analysis, we use our proprietary bit-byte trace out algorithm, COMPUTER FORENSIC task likewise, to bring 90% of the file back.